Finding flowers to express sympathy can be a daunting task. 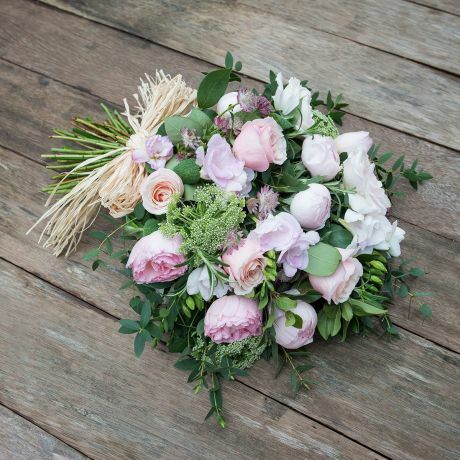 At The Real Flower Company, we can help you to choose flowers of condolence that convey your feelings at a time when words are not easy to find. 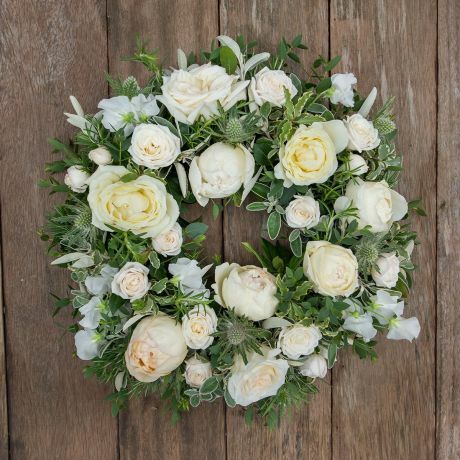 Our beautifully scented sympathy wreaths and sympathy bouquets are hand crafted and styled by our expert florists to provide a fitting declaration of condolence. 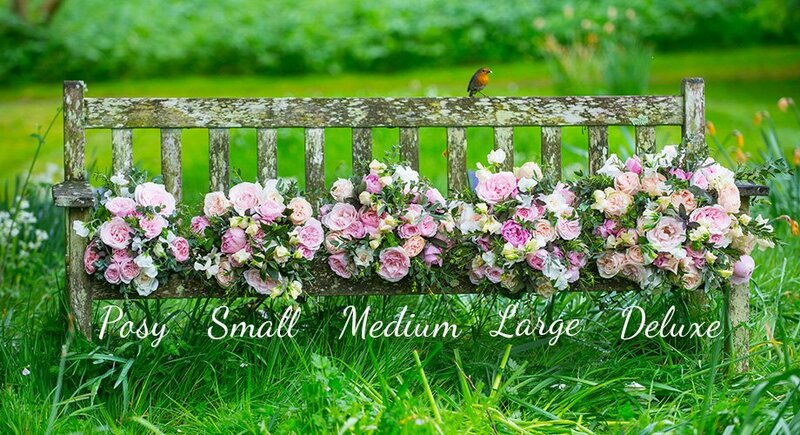 Our selection of bereavement flowers allows you to demonstrate your love and respect at a time when words are not necessarily enough. White scented roses – an enduring symbol of purity and spirituality – are a popular choice for bereavement flowers. 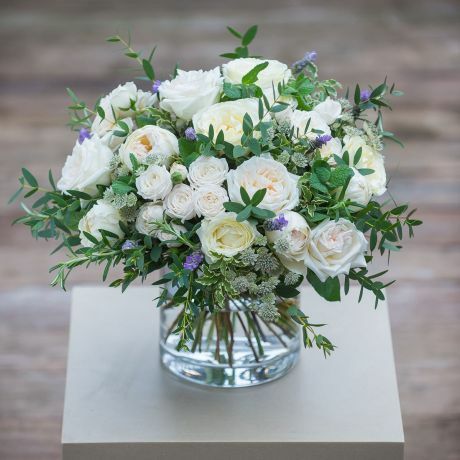 Our expert florists can bring together roses such as David Austin’s Patience and Purity, White O’Hara and Cream Piaget or Jeanne Moreau and Snowballet – all cultivated on our sustainable English flower farm or our Fairtrade sister farm in Kenya – to make a white-on-white sympathy bouquet that is a perfect expression of condolence. 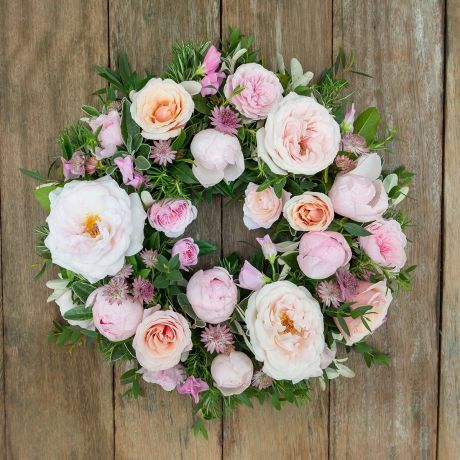 Pink roses and pink sympathy flowers traditionally express thankfulness to the deceased, and several of our bereavement flower arrangements include a selection of our beautiful pink scented roses. 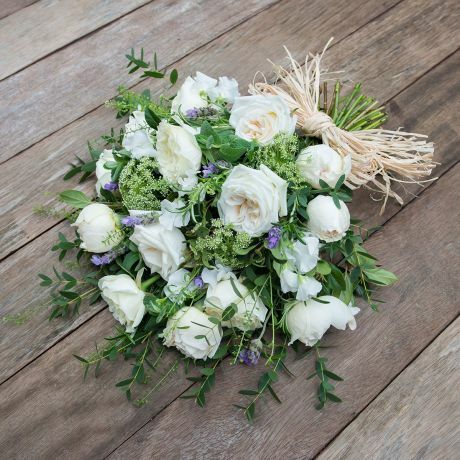 As well as sympathy bouquets, we also provide a range of wreaths and sheaves – a simple, hand-tied take on the condolence spray ­– that are designed to lie flat as part of a display of tributes. 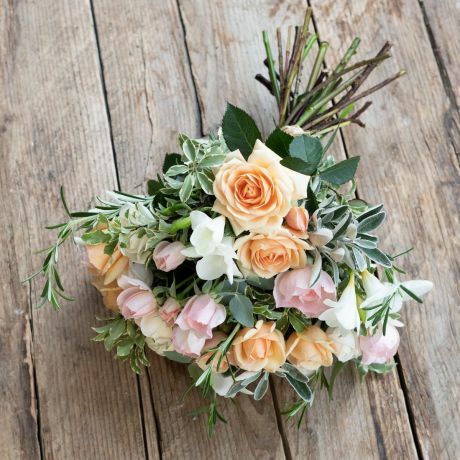 All our sympathy flower arrangements are thoughtfully designed and carefully crafted by our expert florists to provide a fitting reminder of the beauty of nature at a time of loss. 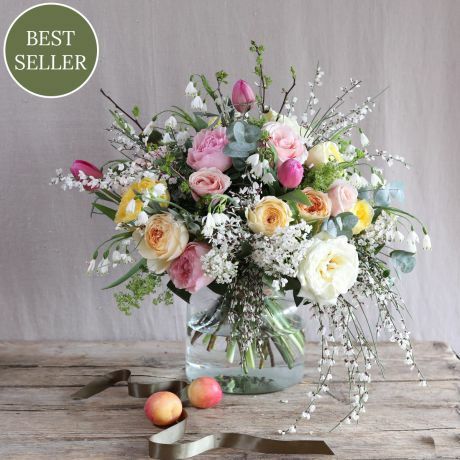 Our sympathy flowers are all available for next day delivery across the UK, accompanied by a personal tribute or message of condolence. 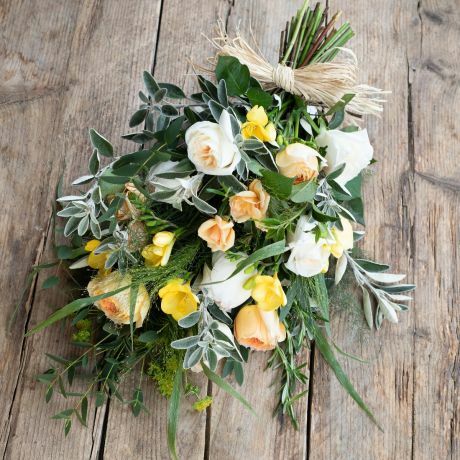 As well as delivering bereavement flowers to mourners’ homes, we can also send our sympathy bouquets, wreaths and sheaves directly to the funeral directors on the day before a funeral. Please provide us with the funeral director’s phone number.